Last week, in the aftermath of the mass shooting at Umpqua Community College in Oregon, President Barack Obama took to the microphones to deride anyone who did not agree with his gun control agenda. Stating that it was only good and right to “politicize” the Oregon shooting, Obama stated, “This is a political choice that we make to allow this to happen every few months in America. We collectively are answerable to those families, who lose their loved ones, because of our inaction.” Obama then called for “modest” gun regulations, without specifying the nature of those “modest” gun regulations. No one “allows” mass shootings to happen other than those who refuse to arm guards or give potential victims the ability to protect themselves. But that didn’t stop Obama from using the deaths of innocents as a platform for his childish “DO SOMETHING!!!! !” antics. Obama specifically presented no gun agenda, because none of the regulations he has proposed in the past would have stopped an incident like Umpqua Community College. He implies that he’s interested in full-scale gun confiscation, but he’s far more interested in demonizing his political opposition, painting all of his opponents are mean-spirited and cruel-hearted. That’s because he’s a jackass. Leveling personal accusations without a shred of evidence makes you a jackass, and Obama fits that definition to a T.
Now, he’s not unique in this regard. Hillary Clinton recently suggested that Republicans who oppose Planned Parenthood resemble “terrorist groups” and that conservatives who oppose illegal immigration want to use Nazi-like “boxcars” to deport millions. Joe Biden infamously stated in 2012 that Republicans wanted to put black people “back in chains.” Because leftist policy prescriptions invariably involve ignoring crucial issues in favor of feel-good incoherence, their main political play is name-calling sans evidence. But Obama has perfected the craft. Faculty lounge insults will not stop Putin in Syria. And Obama’s vaunted coalition is illusory: No one will stop Putin or Assad, including Obama. But Obama has become so convinced of the success of the Jackass Strategy that he uses it to no avail on America’s opponents. Putin is not running against Obama; he’s not Mitt Romney. But Obama acts as though Putin is somehow vulnerable to the same sorts of emotional blackmail as Republican opponents. He isn’t. We should be smart enough not to fall for Obama’s jackassery when it comes to domestic politics. But America becomes more vulnerable when the president only knows how to insult, and thinks our foreign enemies give a damn about his sneering blather. 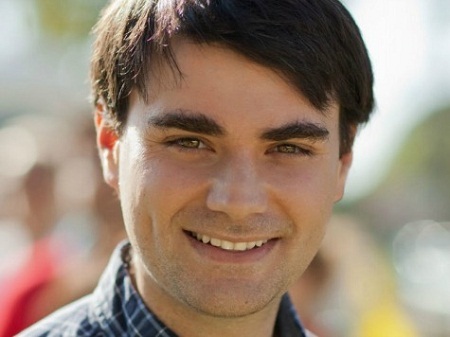 Ben Shapiro, 31, is a graduate of UCLA and Harvard Law School, a radio host on KTTH 770 Seattle and KRLA 870 Los Angeles, editor-in-chief of TruthRevolt.org, and senior editor-at-large of Breitbart News. He is The New York Times best-selling author of “Bullies.” He lives with his wife and daughter in Los Angeles.